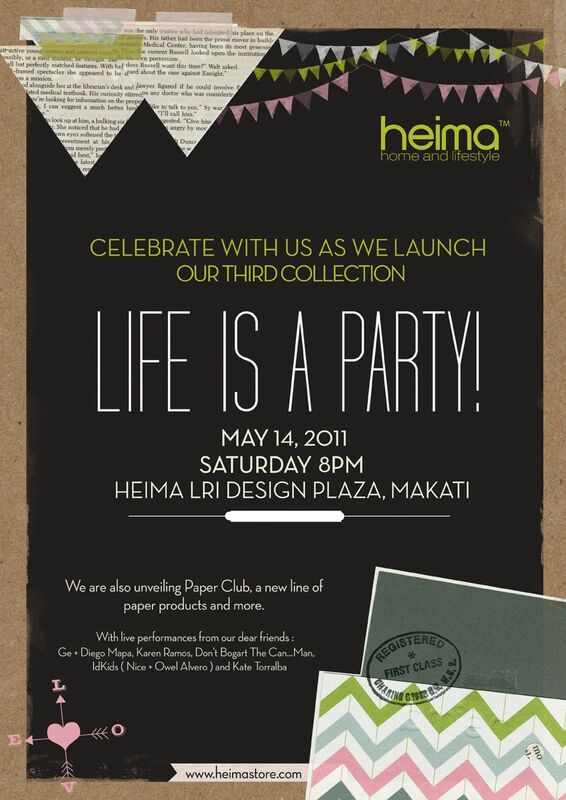 Premiere home and lifestyle store Heima will be launching it's third collection this evening, "Life Is A Party", at 8pm at the Heima LRI Design Plaza in Makati. 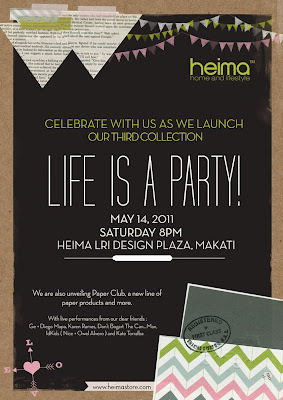 They will also be unveiling a new line of paper products called Paper Club. I know it's tonight already. I was supposed to blog about this a couple days before but that thing you all know that went wrong with blogger resulted in a way delayed post. Hope it's not too late for you to RSVP. It's gonna be an awesome event with live performances by Kate Torralba, Ge + Diego Mapa, Karen Ramos, Don't Bogart the Can...Man, and IdKids. 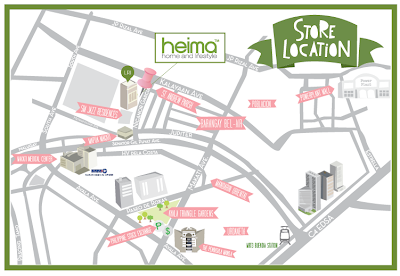 Just click on the Facebook event page here to confirm your attendance. Or email them at hello@heimastore.com with subjectline "Life is a Party!". Because we really think it is. Cheers!